Support the Sacred Hearts Academy Lancer Athletics program through Times Supermarket's SHOP AND SCORE from September 9 through October 20, 2015! You can help the Academy earn a share of $250,000 in equipment and uniforms! 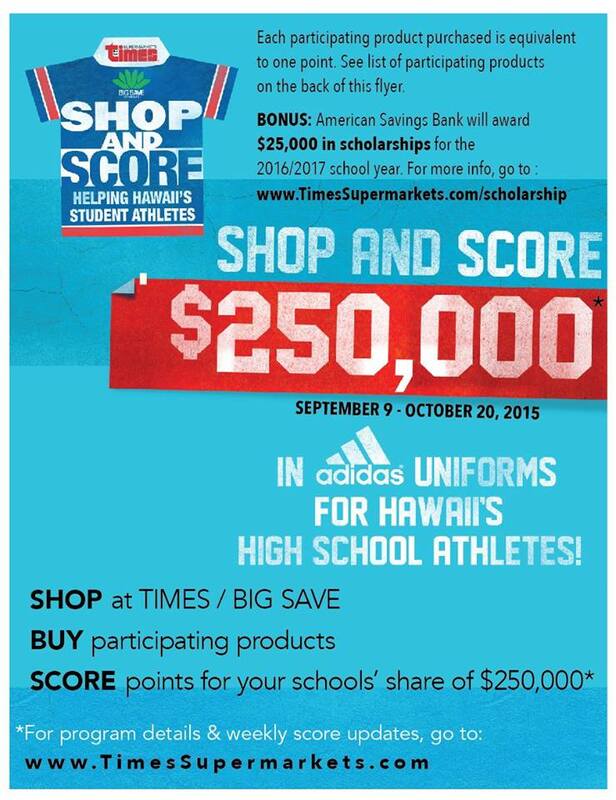 SHOP AND SCORE is a program that allows high schools in Hawaii the opportunity to earn a share of $250,000 in Adidas® equipment and uniforms. Help the Academy by earning points by purchasing participating products at TIMES, BIG SAVE, SHIMA’S and FUJIOKA’S WINE Supermarkets.